This is the story of Margaret Hale, a young English woman who accompanies her family's move from rural southern England to the industrial north. It proves to be a difficult change, with all the attendant social conflicts and cultural misunderstandings consequent to such situations. It is a study in contrasts. Mrs. Gaskell created one of the Victorian era's greatest heroines in Margaret Hale, a young lady of passionate intensity. Always filled with a fiery sense of justice, she feels herself, nevertheless, spiritually isolated from society. Margaret finds her new surroundings shocking. Though appalled by the dirt, noise and the gruffness of the mercantile city, she reserves her greatest contempt for the mill owners themselves. When charismatic mill owner John Thornton begins to take classics lessons from her father, Margaret's distaste for this vulgar "new class" of industrial magnates crystallizes. Over time, Margaret's opinion of the mill workers begins to soften, though not toward the owners - which makes her strange attraction to John Thornton all the more remarkable. The wrenching series of labor problems and deaths that occur as the story progresses serves as a background to the inner struggles Margaret endures...the turmoil of private family life in contrast to the struggle against the overt poverty and deprivation she witnesses around her. 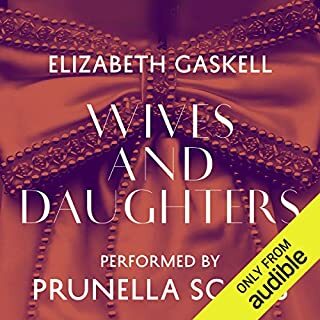 Listen to one of the greatest of all Victorian novels and let the artistry of Elizabeth Gaskell sweep you away to another time and place. Considered her finest work, North and South will keep you listening breathlessly to the very end. I loved the BBC dramatization and decided to give the audiobook a go. It's an amazing book. Much more than a love story, it gives a contrasting picture of two Victorian worlds: upper middle class London and the working class North. Gaskell creates complex, believable characters and raises questions about social inequity in the Industrial Revoluation. A wonderful listening experience. I enjoy reading old novels such as this, as it always gives an interesting perspective on what life was like - more than a simple history textbook can do. And this novel is no exception. Gaskell's writing delves really into the thought processes of her characters. Occasionally this piece can be a little too melodramatic for my tastes, but that does come with the territory of being a 19th C social novel. Overall, I highly enjoyed the work and would recommend it to anyone how enjoys this genre. My only negative comment is that the narrator is - more often than not - too dragging to enjoy getting into the work. He specializes is reading classic literature (as I surmise from his list of credits) but his need to emphasize every word or sentence is quite draggy and often made me tune out his monotonous voice. I felt that he captured the essence of the older characters such as Mr. Hale or Mr. Bell; but his other characters did not have the right kind of energy for me. Be wary of this reader, unless you prefer long, drawn out readings and a performance that often did not feel like it lived up to the author's intended conveyance of her words. Also, on a technical note about the reader, I felt that during long passages of dialog, the characters' voices were not consistent. This is my opinion - as one who deals with sound professionally - so please take or leave this criticism. 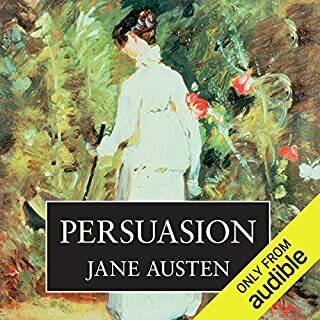 Have listened to a lot of audiobooks but, while I know some listeners really enjoyed it, I am afraid I too couldn't get past the style and voice of the reader. His over-articulated words seems so ponderous and really very dreary (same for A Christmas Carol) I have set it aside and will read it on paper instead. Look forward to Anton Lessor, Simon Prebble, Simon Vance or Mandy Weston reading this!!! Fans of Jane Austen, Dickens or George Eliot will enjoy this story. Mr. Thornton isn't Mr. Darcy - but he comes pretty close. Once you get used to the annoying falsetto simpering voice the reader uses for Margaret Hale and the unusual intonation he uses for chapter headings, the story makes you forget the shortcomings of the narration. I finished this book, but there were times when I really was tempted to stop. It was an interesting tale, but the main problem with the recording is the reader. I had listened a bit before I bought, but the part I heard was a male voice, the problem was when the reader had to use a female voice. I was really relieved when one character died so that I didn't have to hear him speak for her anymore. A reader really can make or break a book, and I would say this reader almost ruined a classic. 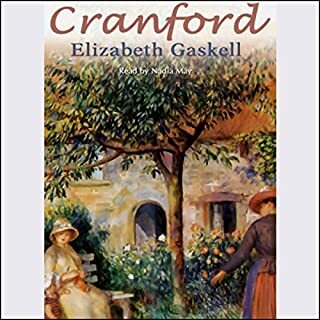 I really <b>wanted</b> to like this novel: <i>Pride and Prejudice</i> tries to meet <i>Shirley</i> in George Eliot's England, but Gaskell isn't Austen or a Bronte or Eliot. Worse--the narrator (who must otherwise be competent since he's credited with 96 books on this site) reads the text as if it's Dr. Seuss. If you're running out of 19th century novels and must download this, at least get the Nadia May vesion. I think her narration (or any woman's voice) would draw less attention to the novel's flaws. I still give it three stars - I'm not sure why! I have listened to many audiobooks that I enjoyed and would recommend, but I still noticed every effortful 30 min or hour that went by. Those books were work to get through. This book I inhaled! I enjoyed every minute, looked forward to listening every day, and got anxious when I was too busy with other things to have time for the audiobook. I'm not sure why this book enthralled me (Mr. Thornton?) --I read a paper copy of Wives and Daughters and loved it, but this was better. Elizabeth Gaskell is great at detail so that you really enter her Victorian setting. Also, the examination of class and poverty in the book was honest and complex and very interesting to me. Of course, what really sucked me in was the romantic storyline. The negatives would be several long slow death scenes with terribly cheesy dialogue, and also sometimes the narrator's accent was difficult to understand. Yet I INHALED this book. 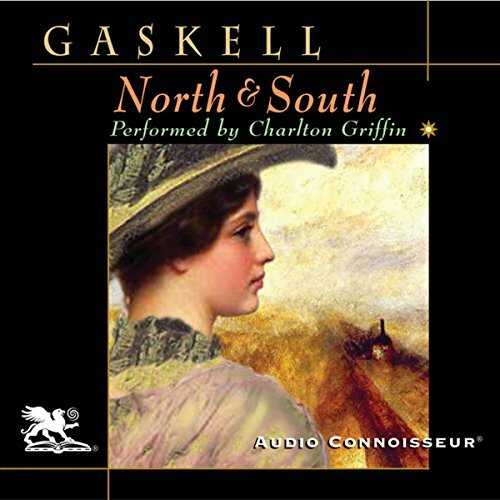 North and South, Elizabeth Gaskell's exploration of the cultures of the north and south of England in the late 19th century is still fresh, if somewhat poorly served by a well enunciated if lack-luster reading. I started this book on a long drive and I tried I really tried. On/off quite a few times, but I just could not get past the narration. Margaret sounds like she's got a cold and I just could not go on. 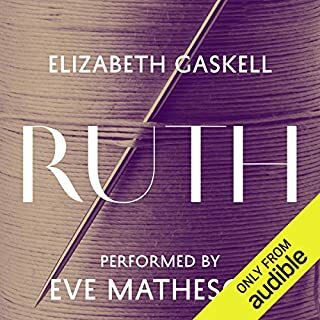 So I have bought this audible book but am never likely to enjoy it as others here who have persevered with the narrator. I just couldn't bear it even though I really wanted to. I look forward another version with another narrator. I almost didn't get this version for the complaints about the reader. I found he was incredibly good and felt like he differentiated speakers very adeptly. I cannot imagine a better book or a better reader...I finished it in a week or so because I couldn't "put it down". LOVE IT! Better than the BBC movie, although it's worth seeing too. I'm unable to listen further than chapter 4 to one of my favourite books because the reader's voice characterisations are so truly dreadful! And I bet you wont put this one online! This wonderful novel was sadly spoiled for me by the very poor immitation upper class UK English accent and alarming female and below stairs chracterisations of the reader. Struggled through five chapters before giving up and buying another version(Juliet Stevenson's model version). 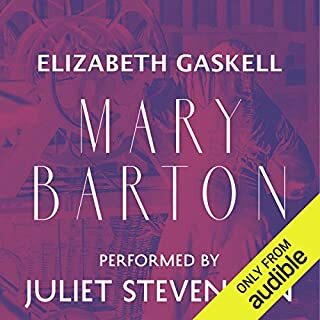 Slow diction, laboured, hopeless attempts at accents and female voices.... By far the worst of many books that I have bought from audible, 90% of which are so good. No. I, like others, am unable to listen to this version through to completion. Although I love the story the performance is so dreadful it has spoiled the whole experience. The narrator's voice characterisations were unsuitable to the characters. If you are considering purchasing this book, pick another version.